If you are stranded and need to have a tow truck in East Perth, then you have come to the right place. Executive Towing Services is a premier towing services company that have helped thousands of stranded people in East Perth over the years. We understand how frustrating it can be to turn the key in the ignition and not have the vehicle startup. It is even more frustrating when you are away from home and have no other resources around you to depend on. Instead, you can depend on Executive Towing Services because we will tow your vehicle to a mechanic or auto workshop so that it can be diagnosed and repaired. Before you jump to the wrong conclusions about why your vehicle won’t turn on, don’t assume it is the worst possible reason that will require an expensive repair job. Sometimes the problem could be as minor as a bad battery or low fuel in the petrol tank. Also, your tyre may go flat on a back road and will require a simple tyre change. If you need roadside assistance with any of these types of problems, we can help you with them too. That way, you won’t even need any towing in East Perth because your car problem will get solved right on the side of the road. Then, yon can save a lot of time and money from having to go to a workshop. Of course, if you get in a car accident or find damage to your vehicle which makes it unsafe to drive, you can call us and then we’ll send a tow truck to East Perth in a timely manner. Once the tow truck gets there, they will take your vehicle to the nearest panel shop for repair. This can be a workshop that you choose, or we can recommend a good one that is reliable and reputable. The dedicated experts of Executive Towing Services are available to take your enquires and process your service requests. We hire nothing but the friendliest and most knowledgeable customer support representatives to assist our customers and dispatch their requests to our tow truck drivers and roadside assistance professionals. All of this is done in a timely manner so that you don’t have to wait and stress anymore over your predicament than you must. We also have the latest purpose-built tow trucks, tilt trays and roadside assist vehicles available for any situation whether it’s transporting a family car, 4WD or SUV to trucks and heavy machinery we can do it all. Anytime you need a tow in East Perth or any of the other suburbs of Perth, Executive Towing Services is here to help. We understand how stressful car problems can be and our support team is there to not only help you resolve your car issue, but to reassure you that your problem will be resolved very soon and that you have nothing to worry about. If it’s a breakdown or accident you have experienced or just need some roadside assistance all you need to do is call 0410 471 056 and you will be connected with one of our customer service representatives who will assist you in getting you and your vehicle off the road or going again as quickly as possible. We can also answer any questions that you may have about any of the services we provide. 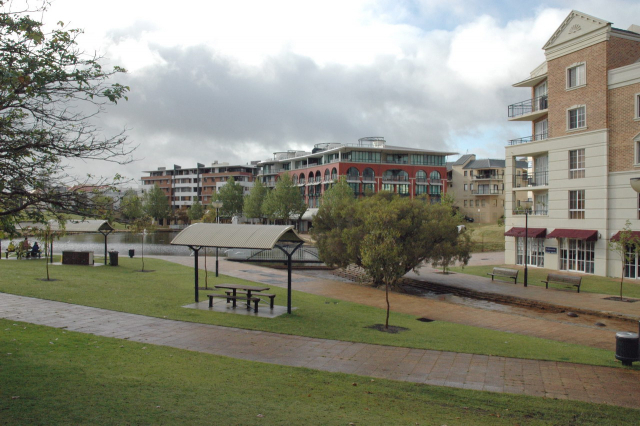 East Perth is an inner suburb of Perth, Western Australia, located right next to the Perth CBD and he local government area is shared by the City of Perth and the City of Vincent. The suburb has many residential apartments and the WACA Ground which is Westerns Australia’s home of cricket.